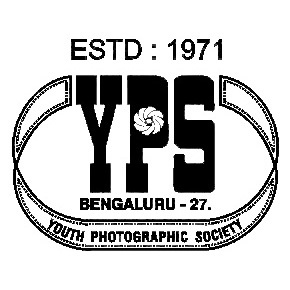 Youth Photographic Society (YPS) was established in Sep 1971 under the patronage of the then Department of Youth Services & Sports, Government of Mysore. Among a few hobby groups formed in the State Youth Center, a handful of interested photographers started YPS activities with the guidance of the then Director Mr. Joginder Singh and Mr. Vijay. Over the years, YPS has grown to be one of the most prestigious and active photographic clubs in the entire country. Today, YPS is one of the oldest and highly acclaimed clubs in India. YPS is fortunate to be associated with many veterans in art photography. 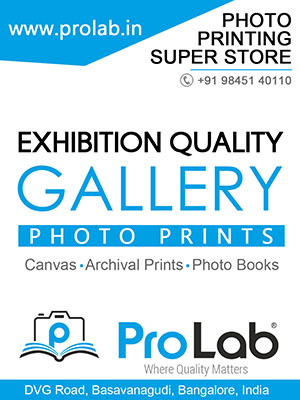 The stalwarts in art photography, viz., Late Dr. G. Thomas, Late Mr. C. Rajagopal and Late Mr. E. Hanumantha Rao, have closely guided the growth of YPS along with highly applauded photo-artists like Mr. T.N.A. Perumal, FRPS, MFIAP, Hon.YPS, Mr. B. Srinivasa, FRPS, MFIAP, Hon.YPS and Mr. M.S.Hebbar, AFIAP, Hon.YPS. YPS is proud to have the highest number of internationally renowned photographers as its members and the club has been active by their sustained efforts. At the moment, YPS has about 40 members who have been honoured with various international distinctions by various international bodies. The society has, in its folds, both professional and amateur photographers who meet regularly to hone up their skills and senior members have groomed many a amateur photographer to become accomplished photo artists. YPS has the distinction of having organized 33 National and 9 International salons. The National salons are held annually, whereas the International salons are held biennially. YPS is a member of FIP (CM203) and has successfully conducted two FIP Conventions in 1985 and 1995 to the utmost satisfaction of the delegates. These salons and conventions are among the best in the country and the overwhelming response they receive, year after year, is a proof of their popularity. YPS celebrated the SILVER JUBILEE in 1996 marking an important milestone in the history of YPS. The WORLD PHOTOGRAPHY DAY on Aug 19 is being celebrated every year in the society in a distinct manner since 1999. YPS currently has more than 381 members and is growing. Members meet on the 1st, 3rd and 5th Saturdys of the month. Programmes on various fields of photography are held on these days. Apart from these regular programmes workshops and outings for Nature, Pictorial and Travel Photography are arranged frequently. These workshops have proved to be helpful in guiding junior members to get a first hand opportunity to make better pictures. Members in YPS are assured of learning by interacting and working with top notch photographers. A membership in the Youth Photographic Society is a symbol of pride for every photo enthusiast.